Guests rave about the superb food and wonderfully friendly service courtesy of the staff and management! 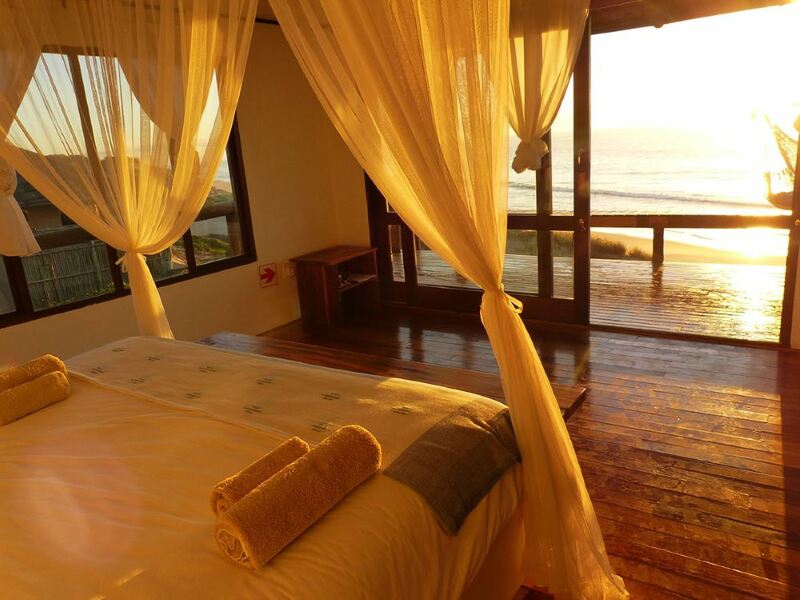 the rooms have been thoughtfully designed to make the most of the superb views – whether from the comfort of your bed (complete with gorgeous soft white linen and high-quality mattresses), the hammock on your deck, or even from the outdoor shower, you’ll no doubt spend many hours just soaking up the splendid vistas! With the hectic pace of modern life, it is becoming increasingly difficult to find places where you can truly retreat and recharge. So many of the beautiful places that initially attracted intrepid travellers have now been well and truly “discovered”, to the point that many previously unspoiled gems have been marred in recent years by rampant over-development. The comparative ease of modern travel has meant that many previously isolated destinations have been completely spoiled, a victim in many ways of their own success. But whilst it’s becoming increasingly difficult to find attractive new places that haven’t yet been discovered, every now and again we come across a new gem – like Travessia Beach Lodge. 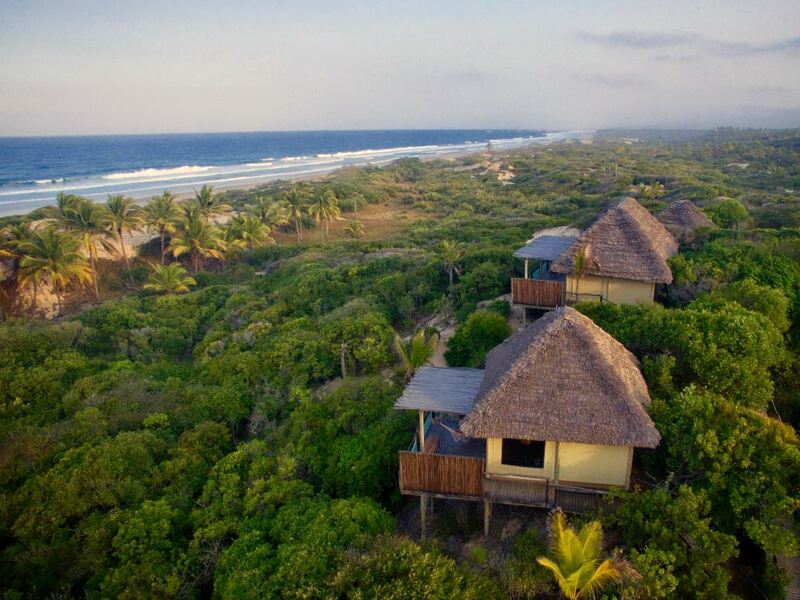 A tiny lodge of just 4 charming casitas, Travessia is tucked away in the seemingly endless groves of palm trees and dunes that stretch along the Mozambican coastline between Imhambane and Vilanculos. With its nearest neighbours being around 20 kilometres north or south along the sandy beach, Travessia is about as far from the beaten track of today’s mass tourism as it’s possible to get! Arriving at the lodge after a picturesque drive through the palm groves, you’ll receive a friendly greeting along with a refreshing welcome drink – then upon entering the spacious open plan restaurant and lounge area built on top of a dune, you’ll no doubt be left open-mouthed at the superb 180-degree vistas over a small palm grove in front of the lodge and the open ocean beyond! From the main lodge building with its pool deck, bar and restaurant, raised wooden walkways lead to the 4 "casitas" dotted along the top of the dune and which have been generously spaced to offer exceptional privacy to guests. These casitas are lovely spacious rooms of wood and canvas constructed on elevated wooden decks with stunning views of the ocean! The canvas walls of the casitas almost give the feeling of being in a safari tent, whilst the rooms have been thoughtfully designed to make the most of the superb views – whether from the comfort of your bed (complete with gorgeous soft white linen and high-quality mattresses), the hammock on your deck, or even from the outdoor shower, you’ll no doubt spend many hours just soaking up the splendid vistas! Powered entirely by solar, Travessia boasts excellent eco credentials too. Obviously this means that mod-cons like air-conditioning aren’t available – having said that, the lodge’s location on the top of the dunes means that they get the benefit of the cooling sea breezes. 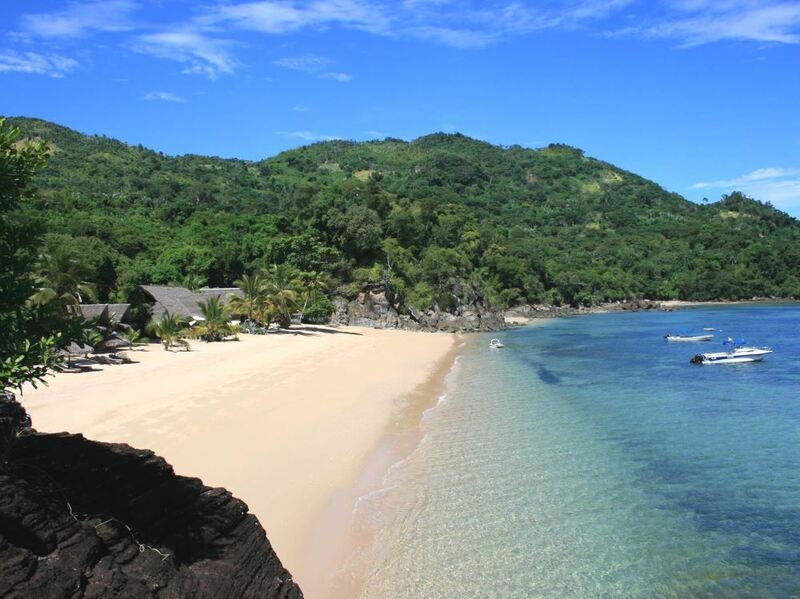 Whilst on the subject of the beach, please note that unlike the Mozambican islands with their generally flat water, the beach at Travessia boasts small waves, perfect for boogie boarding or swimming. With no strong currents, the warm water here is perfect for young kids to have a ball. Of course, there’s also the infinity swimming pool back up on the main lodge deck if you’d rather swim within easy hailing distance of the friendly barman! Speaking of staff, the one thing consistently raved about by guests at Travessia is the wonderfully warm and friendly service they enjoy from the staff and management at the lodge. Other than swimming and boogie boarding, there are also a couple of fat bikes if you fancy taking a ride along the beach, you can try your hand at archery (which the kids will no doubt love!) or go on walks to the nearby village where you can meet the locals. 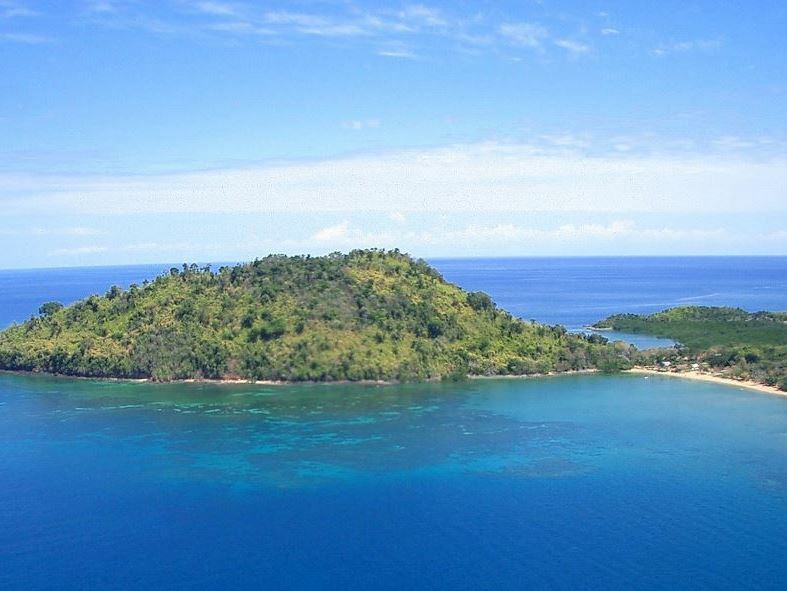 There’s no fringing coral reef off the beach at Travessia, so if you fancy going snorkelling or diving then the lodge can arrange it through operators about an hour’s drive away whilst day trips to Imbambane or Tofu are also possible. Clearly a holiday at Travessia is not about charging around trying to cram as many activities as possible into your day – instead, this is a place to gently unwind and let the unhurried tranquillity soak in. Whilst the lodge sets up well for couples looking for privacy and the chance to re-connect, it’s also a great place for a family holiday with the kids. If you’re sick of seeing them with their noses stuck in their cell phones or tablets, Travessia will give them the perfect opportunity to enjoy themselves in the great outdoors like kids of yesteryear. One of the rooms is a Family Casita, but with just 4 rooms the lodge is also the perfect size to be hired on an exclusive basis for a special gathering of family or friends. One thing to note is that the lodge consciously makes sure that both couples and families with kids staying at the same time are happy, with the lodge being big enough to accommodate everyone without disturbing each other. One final thing that also has to be highlighted is the quality of the food at Travessia, which receives rave reviews from guests on a consistent basis. From the early morning coffee and rusks delivered to your casita’s deck, to Mozambique’s famously fresh and delicious seafood featuring prominently at lunches and dinners, Travessia will no doubt delight your taste buds. 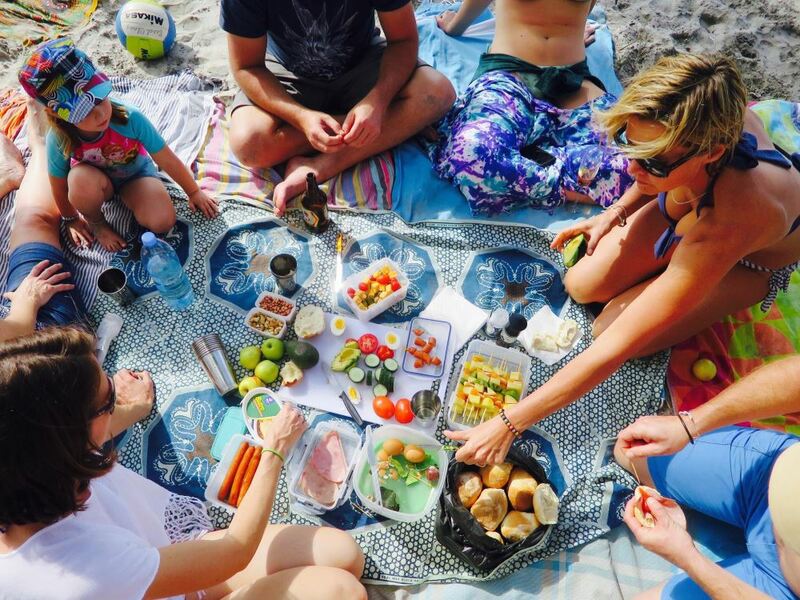 And with the lodge being so small and intimate, they’re also happy to be flexible to cater for your specific needs – so if the kids can’t bear to be dragged off the beach for lunch, then lunch can come to the beach as a picnic with sandwiches, fruit or other finger food. To sum up, if you fancy an action-packed holiday chock-a-block with different activities and with loads of other people around, then Travessia is clearly not the lodge for you – instead if you need to really detox from the hurried pace of our modern life and rediscover yourselves in an atmosphere of peace and tranquility, then you may just find that this charming little beach lodge is exactly the retreat that the doctor ordered!